No, really. I do love you. So that’s not the announcement. But, as you know only too well, I have never, ever, ever, loved this time of year. And since you all know it, that’s not the announcement either. I hate having to do it for others. I hate having to come up with a list for myself. I hate the commercialism, the “gimme gimme” attitude so many people have, the disappointment on the face of a loved one who doesn’t share my enthusiasm for what I chose, the feeling of disappointment I have when something I’ve chosen isn’t appreciated. I hate having to try to figure out, year after year, what the “hot item” is for a particular age group, and I hate the knowledge that no matter when I start, I am always — always — going to be trying to order something on December 23rd for overnight delivery. Much better. For me, less stress. For you, I hope, the sense of doing something meaningful rather than collecting more stuff. I want a War of 1812 pension. No, really. I do want a War of 1812 pension. And you should want one (or more) too. We know darned good and well that my 3rd (your 4th) great grandfather Jesse Fore was a fifer in Captain Michael Gaffney’s company of South Carolina Militia3 — and he got a pension.4 And my 3rd (your 4th) great grandfather Elijah Gentry and his brother James Gentry and their father (my 4th, your 5th great grandfather) Elijah Gentry Sr. all served in the 1st Regiment Mississippi Territorial Volunteers.5 None of them survived long enough to get a pension, but Elijah Jr.’s widow might have qualified. So, what I want for Christmas is a War of 1812 pension. And here’s how you do it. Head over to the website of the Illinois State Genealogical Society, where I’m a member. (You do remember that your grandfather and great grandparents all settled in Chicago when they came over from Germany, right?6) They’re doing something really neat, and I hope you help our family join in. It’s called the ISGS War of 1812 Pension Match Challenge. It’s part of the Federation of Genealogical Societies’ “Preserve The Pensions” campaign to raise $3.7 million to digitize all of the War of 1812 Pension Application Files at the National Archives and put them online where they can be accessed free. ISGS will MATCH any donation up to the first $10,000 that is made before December 31, 2012. This means that if you donate $10, ISGS will match your donation with another $10; if you give $100, ISGS will give $100. In addition, Ancestry.com has announced it will also match the overall amount donated by ISGS, which means that the $10,000 raised plus the $10,000 in matching donations will become $40,000! Your $10 donation actually becomes $40 to help digitize these files! Now c’mon. You were going to drop $10 on that Chia pet, weren’t you? The soap-on-a-rope? The pine-scented candle? The (sigh) car air freshener? Do us both a favor. Buy me a War of 1812 pension for Christmas instead. 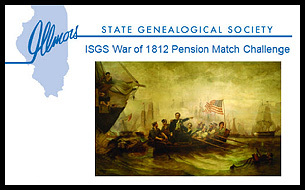 Send that same $10 via an online form or by a plain old-fashioned check to the Illinois State Genealogical Society and its ISGS War of 1812 Pension Match Challenge. You’ll make me very happy… and very proud… this Christmas. I love the idea of the charity contributions (genealogical or otherwise), and the what-I-want-for-Christmas part made me laugh. In a related spirit, you might get a chuckle out of this Christmas card (http://www.archelaus-cards.com/index.php?main_page=product_info&products_id=395 and I’d do the link code but am rusty on it). Full disclosure: designed by my sibling, and we will be testing our DNA this holiday season! LOVE that card design, Karla, and the DNA testing is even better! No, Judy. You’re a pinko Commie freak because you like American League baseball, with that evil “DH” rule. 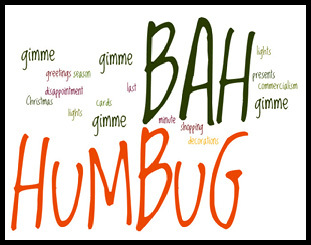 Got nothing to do with the commercialization of Christmas…although that stinks, too! You’re just jealous because I root for a (usually) (well, occasionally) (at least more often than yours) winning baseball team, Dave! Does it help that I have a deal with my nephew Tim that (a) I’ll root for the Cubs in any regular-season game where they’re not playing the Yankees; and (b) we’ll sit down and negotiate if the Cubs ever play the Yankees in the World Series? Not really. I’ve given up on the Cubs and now root for the Cardinals. Yes, I’m serious. >I root for a (usually) (well, occasionally) (at least more often than yours) winning baseball team . . .
Oh yeah, what team was that? Oh yeah, the Yankees. You betcha. Love my Yankees, win, lose or draw. They still make Chia Pets? Doesn’t every household in America (other than mine) have 3 or 4 of them by now? Do the big box stores still sell Pet Rocks? They still make Chia pets. You can even buy one at Amazon. I don’t think the Pet Rocks are carried by the big box stores any more, but if you really want one, how about one that’s plug and play? Amen! We opted out of the rat race known as Christmas Shopping about 10 years ago. We buy things to donate to various charity holiday programs but it does not involve getting up at the crack of midnight to stand in line at a store. We give a little extra to causes that we support. This year we did bend the rules a bit and my husband and I are beginning our journey into DNA testing by ordering kits from Family Tree DNA. They were on sale and ordering was positively painless! As to the sports situation – when the teams you support have Cleveland in their names there is a profound history of futility, disappointment, and heartbreak that cannot be denied. To Dave and other Cubs fans – we feel your pain. Seriously, I would settle for knowing where in the sam hill my great great grandfather, Michael (M.) McCormack was born. Everything else would be the proverbial icing on the cake. Oh tell me about it. If we’re getting into THAT kind of gift, just a hint at the parents of George Washington Cottrell. Just a hint. Well since baseball was brought up … Yay! SF Giants. That was an exciting series … although I have to admit … they are my home team, well them and the Oakland A’s. Back to Christmas. I’m with you Judy. I gave up all the gift giving to adults long ago, and for the reasons you stated. All this needless gift giving of things we don’t want or need. And thanks for the nudge on ISGS War of 1812 Pension Match Challenge. As a descendant of at least one man who served in that war … I’m sending in my 10 bucks today. A sweep is only exciting to fans of the winning team, I’m afraid… As for the ISGS challenge, it just seems like such a wonderful thing to do, and I’ve already been told by one relative that at least one donation will be made. YAY!